Welcome to the December digital experience insight blog post! These will be monthly blogs that will provide general tips and advice on how to run the insight process, latest best practice and guidance, as well as the latest news in and around the area of staff and student digital experience insights. The digital insights team are here to support you through the survey process. If you have any questions just address your email to them and send to help@jisc.ac.uk (putting ‘insight surveys’ in the subject line). Sarah is the head of change in the student experience team at Jisc and also the service owner for the digital experience insights service. 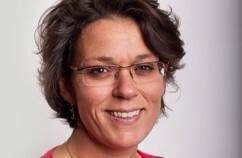 Sarah is also responsible for the digital capability service (https://digitalcapability.jisc.ac.uk). You can find out more about Sarah here (https://www.jisc.ac.uk/staff/sarah-knight). Ruth is the service manager for digital experience insights and is responsible for the day-to-day management of the service. If you want to find out more about the insights service, please contact Ruth. 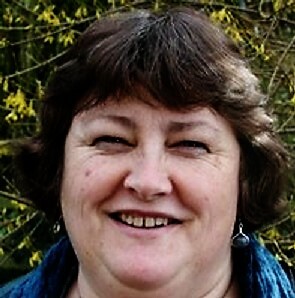 You can find out more about Ruth here (https://www.jisc.ac.uk/staff/ruth-drysdale). 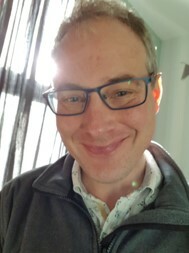 Mark is the senior digital experience insights analyst and is responsible for carrying out the analysis and presentation of the main sector wide reports. Mark will also be supporting and advising institutions on the whole survey process from beginning to end, to help ensure you are all successful in running your insight surveys. Clare is the content curation manager for the digital experience insights service so will be responsible for editing all guidance, materials and reports, gathering and writing case studies, as well as being responsible for the website to ensure all written materials we produce are clear, understandable, easy to use, as well as timely. Darren is the Jisc online surveys client support officer and is responsible for our online survey system, which is where we hold all our surveys. Darren is on hand to help if you have any queries about your surveys within the system. Also to note, the report on findings from student insights pilot in Australia and New Zealand will be published in January 2019. The digital insights team (along with the Royal Agricultural University and London South Bank University) will be presenting at the QAA Data Matters – using data to improve the student experience conference on the 16 January 2019. We will be holding a new digital insights community of practice webinar on the 23 January. This will be an opportunity to share ideas and ask questions to digital insights members of staff, as well as the wider community of practice in an open format session. More details to follow soon. The next community of practice will take place on 13 June 2019 so please do add this date to your diary. In addition, all the presentations and recordings from the day are also available from the events page: https://www.jisc.ac.uk/events/digital-experience-insights-community-of-practice-14-nov-2018 and show how insights is informing the digital developments of colleges and universities across the UK. Some of you have asked how to add colleagues to your insight survey account. The answer is simple but requires actions from us at account level and from you at institutional level. You send an email to help@jisc.ac.uk (with ‘insight surveys’ in the title of the email) with the name(s) and email address(s) of those you want to have admin access to your insight survey(s). We will add their email address(es) as users of the Jisc online surveys insight account (and to this mailing list). If they are new to Jisc online surveys, we will send them an invite to set up a new Jisc online surveys account. Please give us two working days to sort this out for you. Two days after emailing us with your request, log into Jisc online surveys and go to the blue key icon (to the right of your insight name in the dashboard) and copy the email address(es) of your colleagues in the permissions area, one at a time and pressing save in between each. Your colleagues will then be able to log into the insight surveys account dashboard (thanks to us adding them as an account user) AND see your copy of the insight survey(s) (thanks to you adding them to the permissions for your copy of the insight survey).